Craig J. Baxter’s newest book Unmasked: A Revealing Look at the Fascinating World of Body Language is an amazing look into the science of non-verbal communication/ body language. His first book, “Behind The Mask: What Michael Jackson’s Body Language Told The World” a wonderful, truthful book on Michael Jackson was a # 1 bestseller. You can read the review here . Unmasked takes this fascinating science to a another level whereby Mr. Baxter focuses on things the layperson may not be able to distinguish when reading body language. Touching, facial expression, voice, personal space are all parts of this science and he takes each of these sub headings and dissects them one by one to make it easier for the novice to understand. Mr. Baxter basically takes us on as students and educates us how to pick up on the small gestures that are so important in reading someone’s body language. The chapter that I found very interesting and informative was where case studies are used to assist in determining how our words say one thing while our bodies are communicating something totally different. I believe by using these case studies, which are real-life scenarios allow us, as readers, to analyze each of them and apply the information you have learned from earlier chapters to become confident in reading non verbal communication. The last part of this chapter takes you through the interview process and gives 5 important steps helping you to feel more comfortable and confident taking you one step closer to that new job. Unmasked: A Revealing Look at the Fascinating World of Body Language is exactly what the title says…. a fascinating and wonderful learning experience into the world of body language. I highly recommend this easy to read book to any body language novice who would really like to delve into the realm of non verbal communication and Mr. Baxter takes us step by step into his world as a body language expert. SGAA: What was Michael’s baseline? (normal behaviour or conversational habit of an individual) I have done research from your website and other body language sites and it states you can get a good baseline from people when they are in a non-stressed situation and in a calm environment. How did you get a baseline for Michael when he was always so stressed in these interviews? CJB: That is a very good point. That was hard to do. I watched many of his interviews, there were so many interviews that I didn’t cover in the book because I didn’t want to make it too long. Obviously trying to get someone’s baseline when they are not experiencing stress or discomfort is tough but his baseline behavior was very relaxed, I mean he had a lot of precision gestures where he placed his thumb and forefinger together and that was a particular favorite of his also the fist gesture, he used that one a lot, he also liked placing his hand toward his heart and that was repeated constantly. Those are little snippets of behavior that we all fall into. I’m trying to think of other gestures that he did … oh there is one where he shakes his head one way because where he says “he’s not gay” and he shakes his head in the yes position. We do this to add intensity to what you are saying. That’s an idiosyncrasy not him being deceptive. That’s called the “Brohawk Hazard” where you misinterpret signs of body language for guilt where they are just idiosyncrasies of that person. SGAA: So that’s why it is important to know someone’s baseline beforehand? CJB: Yes, because if you did not realize that was Michael’s normal behavior you would think he was telling people he was silently gay because he’s nodding his head yes when he verbally denies that he is gay. He also did it at the Neverland Ranch Interview when he said “I am totally innocent” and again, he’s shaking his head in the wrong direction. SGAA: I’m sure that when you began to analyze Michael’s body language on you tube and now with the book you have had the opportunity to speak with many fans and advocate groups, etc. Has it been enlightening for you to see how much this man was truly loved around the world? CJB: Oh yes, and very humbling as well. It’s amazing because his fan base is global. I mean I’ve got people all over the world sending me messages, asking me to join their groups. CJB: Yes it’s fantastic, I had no idea that he had the fan base he had. He passed three years ago and his popularity has not waned, likely it’s grown. He’s still always trending here in the UK on Twitter and when I tell people about the book, I always ask them “What do you think about Michael Jackson” and they say “I loved his music but also talk about all the negative things and I think it’s because of the Bashir interview and I tell them to read my book and they go and read it they say “God, I didn’t know that about Michael Jackson” So my book does help the young people to see who Michael Jackson really was. SGAA: Is there anything you are working on at the moment? CJB: No, not at the moment. The next step is get the book out in paperback. SGAA: That was my next question, everyone wants to know when it will be coming out in paperback. CJB: I know, it’s out on Kindle at the moment, but not everyone has a Kindle. SGAA: I know I’m “old school” and I certainly love a good book to hold in my hands. So we would all love to know when that will be happening. CJB: Well I spoke to my business partner this morning and we are in the process of getting it sorted out and we are going to have pictures in the book, that’s what is taking us a while. We are not using Michael Jackson’s image. It will be me mimicking the poses Michael did. We are very conscious of any copyright issues. So that’s why anything Michael says in the book I can verify with quotes from here, there and everywhere and I have not added anything that Michael didn’t say. SGAA: When you are not writing, analyzing or working at your day job what do you like to do? CJB: Well, I’m a bit of an adrenaline junky to be honest with you. I’ve skydived, bungee jumped, white water rafted, been in a hot air balloon, indoor skydiving, you name it, I’ve done it. I used to weight lift, and used to be a long distance runner. However, I’m nearly 30 now so my high adrenaline days are just about over. SGAA: I doubt that very much, you have a long road ahead of you to do many things. To do so much at such a young age, I congratulate you. CJB: Yes, thank you very much and now I can add best-selling author to the list. SGAA: That’s incredible, I am so happy for you. I wanted to know if you are inspired by any books or authors and what is on your bookshelf at the moment? CJB: Wow I have thousands of books. I think from a body language point of view, Dr. Desmond Morris, a very famous zoologist here in Great Britain and who is a pioneer. SGAA: Who you quote in your book quite a bit. CJB: Oh yes, quoting Desmond Morris is like the Holy Grail of nonverbal communication, he is considered the very best. His background is studying animals, apes, chimpanzees and monkeys. He’s a big believer in the Darwinian approach of how we have evolved from apes and we are a species of primate. His book is fantastic and he’s written about ten books about non verbal communication and I do feature Desmond Morris’ work heavily in the book because I do consider it to be the very best. So he would be number one. Dr. Paul Ekman, who is the pioneer behind the TV show “Lie to Me” and I have spoken to him personally and I owe a lot to him as well because he takes the study of body language to new areas where he does micro-expressions. Whereas Dr. Morris didn’t cover these things in his book he was more anatomy based because Ekman was more about emotions and how they take an integral role in our everyday communications. So I’m forever indebted to Dr. Ekman and his tireless research as well. SGAA: (Laughing) Do you do any light reading? CJB: No, most my reading is based on non verbal communication and I like police interrogation books just to hone my skills basically. I’m not really big on novels. I would prefer to watch a film based on a novel rather than sit down and read one. I am a big reader but on non verbal communication. As an aside, I must thank John Navarro, I quote him a lot in the book. He is a legend. Former FBI and founder of the Behavioral Unit in the US and he was first into the interrogation of terrorists, murderers and suspects and again, he is considered one of the very best. So it was a real honor to quote directly from Navarro. I speak to him often and amazingly enough he has given me a wonderful review of the book, he really enjoyed it. I was very pleased about that. SGAA: I was looking on the Amazon reviews of your book and everyone has enjoyed it. CJB: Yes, I am really blessed, I think I got eight 5-star reviews or something like that so I am very pleased that people are buying it and leaving a good review. I have had a couple of reviews where people say it wasn’t long enough but it was 33,000 words so it was half of a PhD thesis and I thought that was long enough. That’s really the only criticism I have had so far and I did have someone who rated a 3-star stating that body language wasn’t an exact science and how I got things wrong, but you can’t please everyone. SGAA: I think people just want to read everything they can about Michael so any book might be too short and you’re absolutely right you can’t please everyone. I wanted to ask you if you would find it interesting to analyze the “journalists” and I use this term loosely, that tormented Michael throughout his life like Martin Bashir, Maureen Orth and Diane Diamond to name a few. Any thoughts or interest of doing this even on your you tube page or in a book in the future? SGAA: Well there’s a lot of time to think about that, since you just finished this book. CJB: It took me a long time to write this book and do the research behind Michael’s life. In my bibliography I must have thirty books that I have used and all of them I had to read extensively to get the best out of them and try to get the right quotes. Oh that was tough, really tough, because when I would write something down I would need to back it up with something so I would have to go find the book in the attic or in a box in the spare room in a wardrobe. My books are littered all around my home. I do not have a book shelf (laughs). When you go through 33,000 words and you need to find a quote it’s difficult. I spent hours writing something and then spent more hours trying to find the right quote and see if it would fit in with what I was writing about. It was tough, it was really tough! SGAA: Is there anything else you would like people to know about your book and what it means. 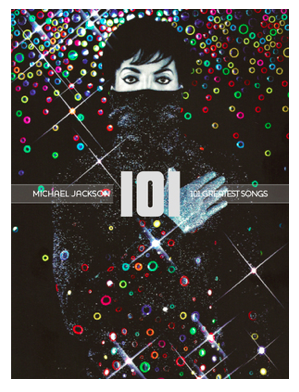 CJB: Just to get the message out there that my book is unlike any other book written about Michael Jackson. I’m a very neutral observer and I cover everything. I don’t write everything glowing about Michael and where I think he is being deceptive and I show you why, through his body language and I can back that up with the quotes. 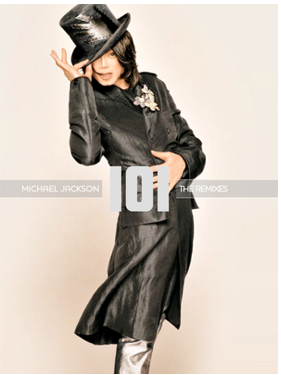 It’s a refreshing new look about his life and there is a lot more to Michael Jackson then just those five interviews. Like I mentioned in the book there are other areas in his life that I might address in the future like his brief marriage to Lisa Marie Presley. I want to promote this book and get the message out but I think in time I might be writing a sequel to “Behind the Mask” but before that I want to look at other aspects of body language. I want to write about all my you tube tutorials and condense them and put them into a kindle book as well so that could be my next step. SGAA: Well Craig, I would like to thank you for taking so much of your time and doing such an in-depth interview with SGAA. It was an honor and I would like to thank you on behalf of the MJ community for letting the truth be told and we love you for this. CJB: Well, thank you and thank you to the MJ Community, It’s wonderful to be appreciated by such wonderful fans. We’re all in this together and we need to support Michael and get the message out and get the book out, because he was honest and my book shows that and the more people read it the better and that’s what it’s all about. SGAA: Well I wish you much success with this and hope “Behind the Mask” reaches number one all across the world. 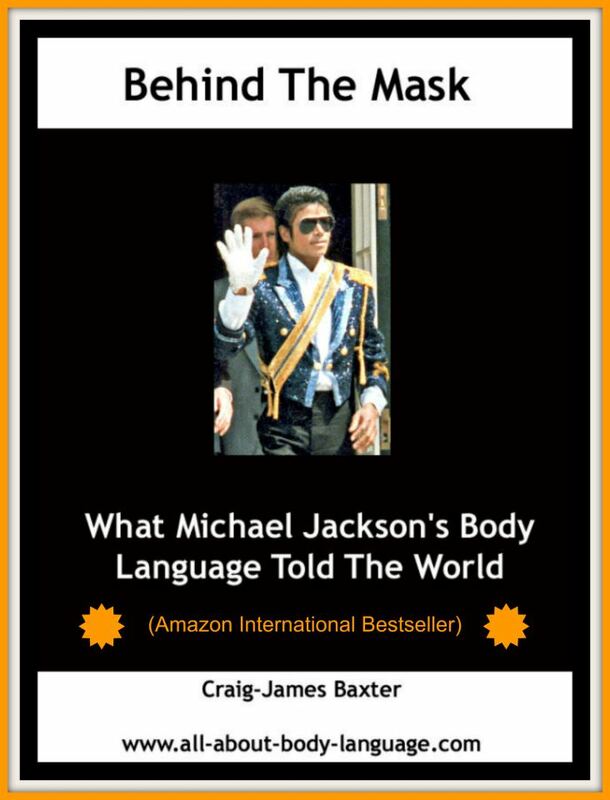 SGAA: It is my great pleasure to have Craig J. Baxter, author of the #1 Bestselling book Behind The Mask: What Michael Jackson’s Body Language Told The World speaking with me. Thank you so much Craig for doing this interview. I would like to start by asking you how does it feel to be a #1 bestselling author of one of the most beloved entertainers of all time, Michael Jackson? CJB: Well, it is a truly wonderful feeling. 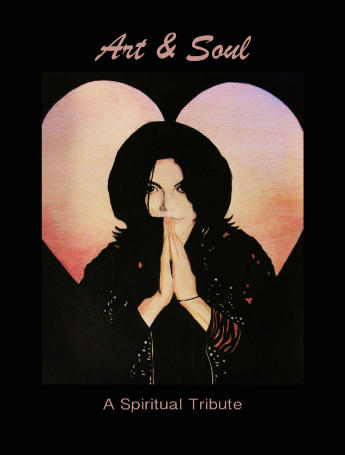 I never anticipated the level of success I’ve had in such a short time, the book has only been out for two weeks and it has already hit number one in the US, Germany and here in the United Kingdom as well so I am over the moon with the response from the book but also the from the Michael Jackson community as well. 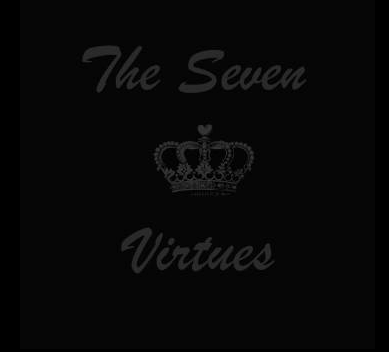 They have all given me their support and left wonderful reviews on Amazon so I’m very humbled at the response I’ve had. SGAA: I loved the book and I specifically liked how you made it interesting not only for Michael Jackson fans, but also for people who are interested in learning about body language, was that your intention when you began the book? CJB: I had two aims of the book. One was to educate the reader on literally the “man behind the mask” and to show the world what Michael Jackson was like, his body language, his behaviors, his gestures and his facial expressions and how fundamentally, he was very much like you or I. He did have this mega stardom aura about him and people considered him to be God like and almost like a deity but, in essence, he was just like you and I. 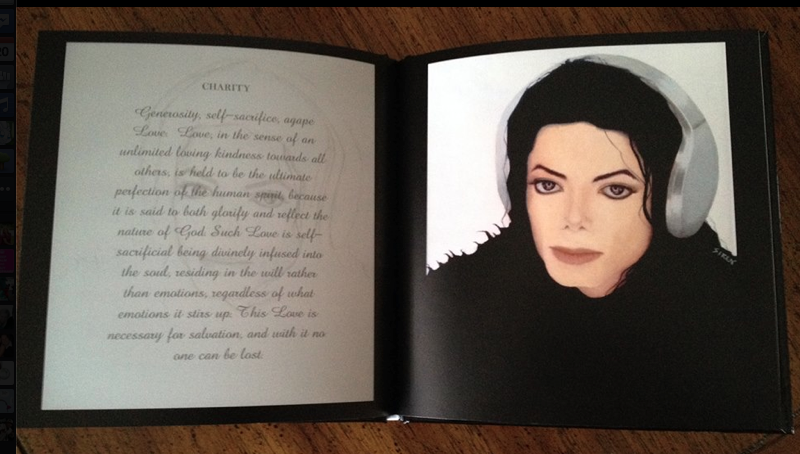 Another aim of the book was to uncover some of the myths that have been associated with Michael Jackson throughout his life. Saying that he slept in a hyperbaric chamber, buying the elephant man’s bones and other lies, I wanted to clear those up but it was a good way of analyzing his body language while he was talking about these rumors and allegations, it was good to get to the bottom of these things. In the interview he did with Oprah Winfrey in 1993 he talks about sleeping in the hyperbaric chamber and the other rumours and then he goes back to it in the Martin Bashir interview when the press is still publicizing these myths and fantasies about his life and I think the intention of my book was to put those to bed. To go through them and to show that Michael was being as honest as he possibly could with his body language and his verbal statements. It showed the audience that he really was honest about all the lies and all the myths and how they were just rumours and that’s all they were. CJB: My main background is in the human body and how it works. Throughout the years I have been trained as a GP Referral Officer here (in the UK) and what that involves is working with patients who have cardio vascular diseases like heart attacks and people with brain injuries, so I do “physiotherapy” for lack of a better word. So my background is in the health and fitness industry but because I had to study the human body in-depth, I relayed everything I learned about how the human body works into emotions and that’s where my body language background comes from. We can apply from how we feel to how we move and how we interact with others so my background isn’t necessarily psychological, it’s more anatomy and physiology based and understanding the infinite movements the human body has. SGAA: I was introduced to your work from through MJJJusticeProject who posted your MJ videos on their website and am now an avid follower of your work. You have analyzed many interesting people: President Bill Clinton, celebrities like Michael Jackson, Lady Gaga, Charlie Sheen as well as Casey Anthony and even poltergeists. What is your reasoning behind the choice of the people you analyze and why did you decide to bring your work to You Tube? CJB: That is a very good question. I started my original Body Language video by analyzing a killer here (in the UK) named Ian Huntley. That was the first video I did and it was a controversial one because that happened in 2002 I believe and I did the video about six years after that video came out when he was charged with murder and subsequently found guilty, so I got a lot of criticism with people saying “It’s all hind sight” and things like that but that was my original video and it all stemmed from there. People kept sending me messages like “can you have a look at Justin Bieber and Bill Clinton”. SGAA: So it was followers of yours that said could you do this person? Could you do Michael Jackson? CJB: Yes, it was amazing because I think I had done three or four videos and then I got a message from somebody saying “Oh would you have a look at the Michael Jackson video?” and I said “yeah sure” and I looked at it and it was the Oprah interview and I thought “Oh wow this is just crazy” Oprah was destroying Michael Jackson with her questions and I put that on You Tube and I think within a couple of days I had thousands of hits from all over the world. It really took off then and I started doing Amy Winehouse, etc. I think I have done close to 150 videos but I have actually retired from doing video tutorials of celebrities and I’m now doing little snippet videos on how to spot lying, etc. So once I get my book out in paperback I will continue with that. SGAA: I understand that you are a Michael Jackson fan but did not know much about his personal life did you feel that was an advantage or a disadvantage for you? CJB: I would say it was both. It was an advantage because I didn’t get swamped by all these myths that surrounded his life and that enabled me to remain impartial but then again it was a disadvantage because I had to research Michael Jackson’s entire life and that took a long, long time because there was so much rubbish written about him that it was hard to verify what was truth and what was lie. Thankfully, I had Buds girl from MJJJusticeProject helping me out with the research and finally got the truth about Michael Jackson and where to focus my research and that helped me tremendously. There is so much rubbish written about Michael and if I was to include rubbish in my book it would make me look amateurish and no one would buy the book. SGAA: That is true and the thing I liked about your book was that it was cohesive with Michael’s verbal communication and his emotional communication as well so it made a wonderful read so thank you for that. SGAA: Excluding the amount of time it took to write this book, I’m interested in how much time you spent analyzing Michael’s interviews for it? CJB: Oh wow, I could not put a time on it. A lot of time went into analyzing Michael. CJB: Years! I would say years, because I had to attempt to get Michael’s baseline which means I had to look at his behavioural movements when he was giving any human emotion so I had to become comfortable with knowing what Michael Jackson was going to do next in a situation so I could become confident I could predict his behaviour. So I had to do that by watching him as a child, through his adolescence and the later interviews. All the interviews I have done , I believe there are about twelve, I studied them intently to understood what his actions and gestures were and that’s what made the book a lot easier to write. SGAA: I have to be honest with you, I would I have never guessed years, I would have thought months, but never years to read his body language. I didn’t realize how much time it takes to write a book. CJB: Well my first Michael Jackson video tutorial was the Oprah Interview and I think I uploaded that last year, but before I started doing those video tutorials I had to research Michael Jackson before I did that video. I had to study Michael’s repertoire, how he engaged with others, how he danced, how he moved and it was very difficult because Michael’s physical appearance changed dramatically from when he was a child through his adult years and that takes a lot of time to understand. It took years to become confident in what he was going to do next, how he addressed, how he talked and his behavioral style so yeah, much research went into it. SGAA: You stated unequivocally that all of Michael’s body language portrayed total honesty and truthfulness in these interviews except for two exceptions in the Bashir interview. The first being the amount of surgeries Michael had and the second being the relationship of the mother of his youngest son Blanket, can you elaborate? CJB: In the Bashir interview he contradicts himself a few times just with those two topics, I think with the first question about his surgery he said he had no plastic surgery on his face and then he said he had one procedure and about five minutes later he told Bashir he had two operations on his face. So he went from zero, to one, to two if I remember correctly and he also said “I think” when Bashir asked him “have you had any other plastic surgery?” I can’t remember exactly what he asked but Michael said “hmm I think, yeah” so you would know how many surgeries you had on your face so I think he was being deceptive there, that’s one area that is a big topic of Michael Jackson because his face definitely had changed in that interview from the Oprah Interview, there is no denying that. With respect to Blanket’s mother, he contradicts himself there because half way through the Bashir interview he states that Blanket’s mother is someone he had a relationship with and then toward the end of the interview he said she was a surrogate and they don’t know each other. SGAA: Could these discrepancies, especially the latter, be because Michael began to distrust Bashir as this eight month interview progressed, hence making him much more nervous and even perhaps angry? CJB: Well, I would say no only because I’ve seen the footage from the rebuttal video and what you didn’t see in the Bashir interview was him complimenting Michael on his life, how wonderful Neverland was, how his relationship with children was so wonderful and innocent, so in essence Michael might not have felt that uneasy with Bashir by getting all these compliments. These were not included in the original Martin Bashir “Living with Michael Jackson” interview. What is interesting is, if you read the book, when Michael Jackson says he had a relationship with Blanket’s mother he seems to be smiling, now children often smile when they are lying. They cannot hide the delight when they try to dupe the person. I think Michael was trying to dupe Bashir into thinking that he had a relationship when, in fact, he didn’t. That might be an indicator that Michael Jackson is hoping that he won’t be found out. This was interesting because Bashir didn’t pick up on that because before the commercial break I remember him saying “one thing he wanted to get to the bottom of was the relationship with Blanket’s mother” so he didn’t pick up that Michael contradicted himself. SGAA: I understand, however, we really don’t know when these questions were asked, in what sequence. Was one asked at the beginning of the interview where Michael was more trusting and the other at the end where he was more distrustful of Bashir, hence him making contradictory statements? SGAA: What was the most interesting thing you found out through Michael’s body language while analyzing it at such length? 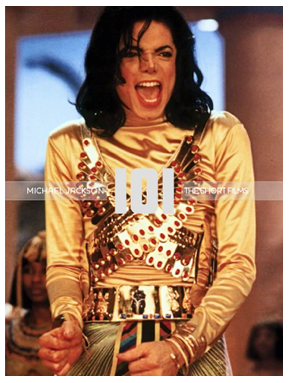 CJB: I think when Michael Jackson got irritated he made the repeat of the blocking gestures. You can see that during the Oprah Interview – he blocks a lot. That was most interesting because when he got angered or most frustrated his use of blocking gestures were prevalent. You could see that in the Oprah interview, you could see it in the statement from the Neverland Ranch, and you can certainly see that in the Bashir interview. So it’s the way he deflects negativity and he uses it quite well with his hands, with the hand scissor gesture where he places his hands right in front of him and then chops just like an imaginary pair of scissors. He also favored the leg block as well which is where you place the leg in front of you and bring the leg in really close so its like it’s added security. That was very interesting. In essence that should have never happened because Oprah should have made Michael feel more relaxed than she did. I mean asking him if he was a virgin and asking him if he’s asked Liz Taylor to marry him. Ohhh I couldn’t believe what I was seeing. I think that was the most interesting because he is well documented as being very gentile and very good natured and watching him just put up barriers against people that were making his life hell was very interesting. On a side note it was amazing how honest Michael was about the allegations, he talked openly about them and I think that was very refreshing as well. SGAA: What was the most difficult part in writing this book? CJB: I started this book at the wrong time. I had done a little bit of a draft copy, I had done about 3,000 words about six months ago and never got around to finishing it and then stated writing the book again in July this year but then we had the Olympic games here in Great Britain, then we had the Paralympics, then the Ryder Cup and we’ve just got a new little kitten as well. So I had every distraction you could think of while I was writing this book and I’m a big sports fan so it was wall to wall sports every day and I wanted to get this book out ideally before Christmas. It was hard word, because I had to sacrifice a lot because this is not my day job, I still work as a GP Referral Officer as well. So I do have a day job. SGAA: I found in all the interviews you chose, especially Oprah’s and Bashir’s, they took every opportunity to bully Michael with their style of questioning, yet he remained quietly polite. You obviously saw things fans and the general public seeing it for the first time would never have picked up on. Were you shocked at their tactics? SGAA: Well hopefully with your book that will change. CJB: With the Oprah interview, her asking him whether he was a virgin and other really intrusive questions, I couldn’t believe it, but from a mass audience point of view that’s what they wanted to know about, juicy gossip that no one else has heard about and they don’t care if it’s innuendo or sleaze and that’s what sells unfortunately. Really I was and wasn’t surprised but Michael handled it really well. He silently put up a block to try and stop the questions. SGAA: Unfortunately for Michael, he was so quiet and calm that he didn’t really say what he wanted to say but he did say it in his body language and thanks to you we know that now. CJB: Yes, and more often that not people will miss that who aren’t really adept at reading body language where they will miss these little subtle actions and movements which a very distinct and precise meaning, and that’s what Michael did and he did use a lot of aggressive fist gestures when he talked about the relationship with his father. He also used a stop emblem where he literally pushed his hand down to try and stop the insensitive questions from Bashir and Oprah. SGAA: He also used the covering of his face with his hands very often…. CJB: Yes that was a very popular one where we block our visual stimulus which is causing us pain and distress. He did favor that one as well Michael did. It was interesting because he always said he was a perfectionist and never happy with his appearance and his face. If you remember in the book in the interview he said he had to wash his face in the dark because he used to hate his face and when he was in an airport some fan said he was ugly. So Michael covering his face is very ironic. What Michael Jackson’s main baseline and how was Craig able to find out how and why he knew Michael was telling the truth? Also MJ’s fan all over the world have embraced his book and how Craig feels about them in Part 2 of this interview coming soon. After reading Craig J. Baxter’s book “Behind the Mask: What Michael Jackson’s Body Language Told the World” I literally jumped for joy. Finally, a book that tells people all over the world what MJ fans and advocates have known all along, that Michael Jackson told the truth. The innuendos and falsehoods the tabloids and airwaves spewed and that haunted Michael throughout his tormented life have been “put to bed” by Mr. Baxter’s book. It shows, through Michael’s non verbal communication, that he unequivocally portrayed total honesty and truthfulness in the interviews he analyzed, ranging from the Oprah Winfrey 1993 interview all the way through to the Martin Bashir rebuttal 2003 interview. This book is an exceptional “tell all” book but in the real sense of the words. Craig goes beyond describing Michael Jackson in his interviews by pairing his words with Michael’s body language. Any reader would be enlightened by this professional non verbal analysis of MJ based entirely on his body movements; his eyes, his legs, his hands and even his “classic hand on the heart” gesture during many of the conversations. Mr. Baxter allows us to see Michael for who he truly was, an honest and truthful man, whose only fault was to be trusting of these so-called “interviewers” and “journalists”. This is unlike any other book I have read about Michael because Mr. Baxter does not deal in rumours, only in what he observes in Michael’s gestures, etc. His section on the terminology of non verbal communication used throughout the book is a great addition for anyone who wants to learn more about this amazing technique used in FBI interrogations and research. Mr. Baxter’s you tube video tutorials will show MJ fans and body language enthusiasts that he is well versed at his craft and does it extremely well. 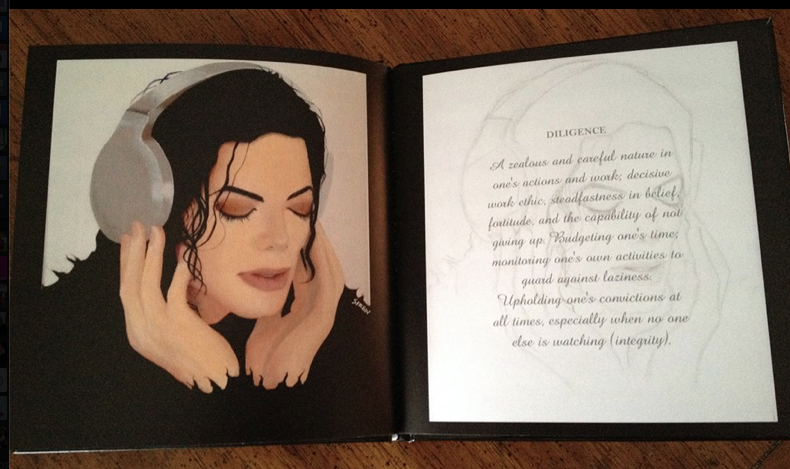 Michael Jackson would be pleased that such an objective book was written about him. I highly recommend “Behind the Mask: What Michael Jackson’s Body Language told the World” to fans of Michael Jackson as well as body language enthusiasts who want to delve into this fascinating analysis of this brilliant and kind man. Please note: I will be posting my interview with Craig J. Baxter in an upcoming blog very soon.